Welcome to this week’s Top Picks Thursday, our weekly roundup of writerly links! Saturday, October 8th, marked the inaugural Indie Author Day, where libraries gathered self-published authors together for author panels, author showcases, and to chat with readers. To celebrate the opening of the National Museum of African American History and Culture, the Smithsonian Libraries curated a digital collection of titles related to the African-American experience. Writers often talk about the fear of failure, but Anne R. Allen gives us 5 signs that we are secretly afraid of publishing success. One of the fears of success is losing our privacy. Jael McHenry explores the question: do authors owe us their whole selves? and the BBC discusses why the exposure of Elena Ferrante causing such outrage. How’s this for the prize of a lifetime: a London bookshop offers free books for the rest of your life. Many people say that nothing like this 2016 election has been seen before, but Shakespeare explained the 2016 election 425 years ago. All writers have unfinished novels stuck in virtual (or physical) drawers. Janice Hardy tell us how to fix the fatal flaws and finish that novel, while Roz Morris shows how pace and story structure work together to keep the reader gripped. 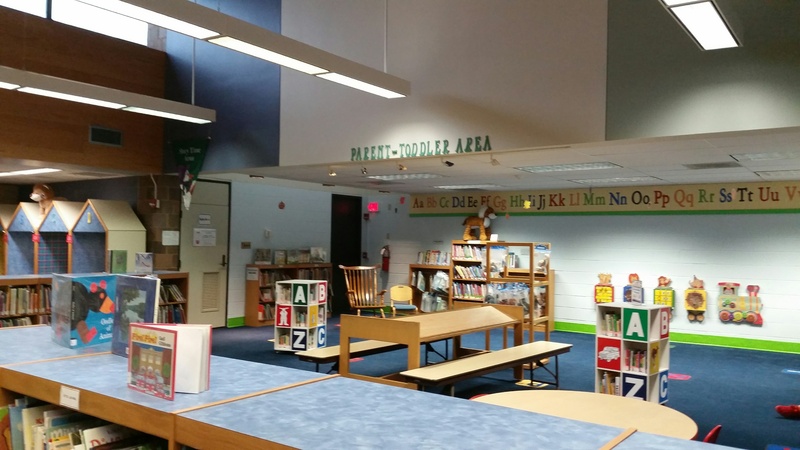 We can connect with our readers immediately by using questions to engage readers in the first chapter, and Janice Hardy gives us 4 tips for preventing flat descriptions so we don’t lose our readers. Angela Ackerman explains how your character’s hook—special skill or talent—can elevate your manuscript, and Roz Morris examines how to write emotions and feelings. What motivates you to get things done? Roni Loren discusses personality types and To-Do Lists. Some writers are control freaks—and/or anxiety ridden, which makes you want to control things as much as possible. Chuck Wendig gives us good writing (and life) advice: control what you can control. Amazon Books wants to open a store in Dedham, Massachusetts. The Selectmen approve Amazon Books, but with a condition. Publishing isn’t cheap, and new models are springing up all the time. Helena Echlin explores the Inkshares crowdfunding model. In the traditional model, agent Vanessa Robins of Corvisiero Literary is seeking clients. Chris Syme examines push marketing vs. pull marketing, and talks about which benefits us more. Much of modern marketing is done online, and there are a lot of options to choose from. Sandra Beckwith tells how to build Amazon searchability for your books, and Frances Caballo experiments with free book promotions to see if they are worth it. Jami Gold asks: what’s your newsletter plan, while Jane Friedman reminds us of the importance of using a call to action in almost everything we do. Some of the most loved movies were hated by their book authors. Check out 11 authors who hated the movie versions of their books. For Georgette Heyer fans, several forgotten Heyer stories are to be republished. Intriguing. New postage stamps honoring Agatha Christie don’t just celebrate her mysteries—they contain a mystery of their own. A booklover’s dream: this tiny guesthouse filled with books is the perfect woodsy escape. Take a look at the adorable new book trains at the New York Public Library. Natasha Geiling rounds up 9 theories about the (still) mysterious death of Edgar Allen Poe. 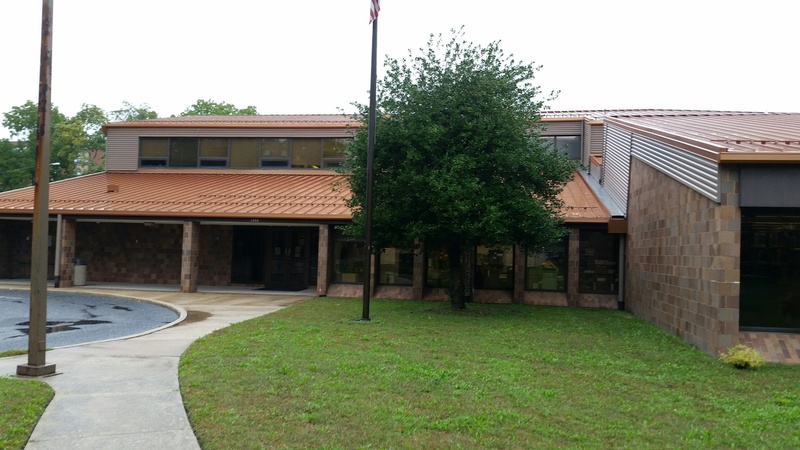 Although we five chroniclers don’t live close to each other, we do live in the same region — southern and central New Jersey and southeastern Pennsylvania — and we’re going to show our support for libraries by concluding with a photo of a local library for the next several weeks (until we run out of them!) 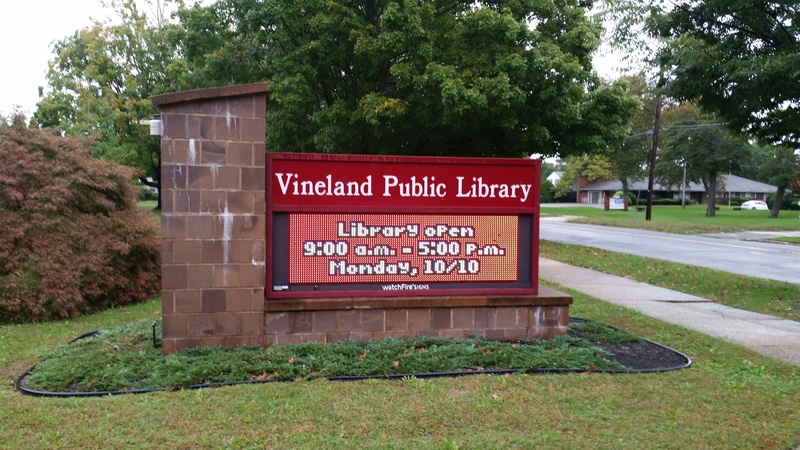 This week, we’ll give a shout out to the Vineland Public Library in Vineland, NJ.